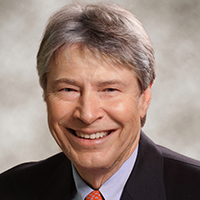 Dr. Dennis Kurgansky has been practicing dermatology for nearly 30 years in both private practice and through the University of Maryland Upper Chesapeake Health System. Dr. Kurgansky received his medical degree from the University of Maryland Medical School and completed an Internship in Internal Medicine at Mercy Medical Center in Baltimore and a Dermatology Fellowship at the University of Maryland Hospital in Baltimore. He serves on the Finance and Budget Committee of the Medical Alumni Association, University of Maryland Medical School and has contributed countless hours as a philanthropist and advisor to numerous academic and religious organizations in Maryland. Your ticket for the: Dr. Dennis Kurgansky, M.D.